I seem to be relatively alone in thinking F1 is in the process of losing the plot. You might pick up that from the blog name I chose I think we are steadily creeping away from the sport that inspired me as a youngster. There are two views of the current state of F1s smaller teams. Those that think the Marussia’s and Caterham’s of this world did not deserve to continue to be in F1 as they weren’t good enough, and those (like myself) who grew up watching a succession of great drivers and technical staff emerging from the smaller teams – and recognising the value they bring to F1. If the figures in Joe Sawards recent blog post (and he’s generally switched on) are to be relied upon, F1 has an annual income in the region of $1.8 Billion per annum. 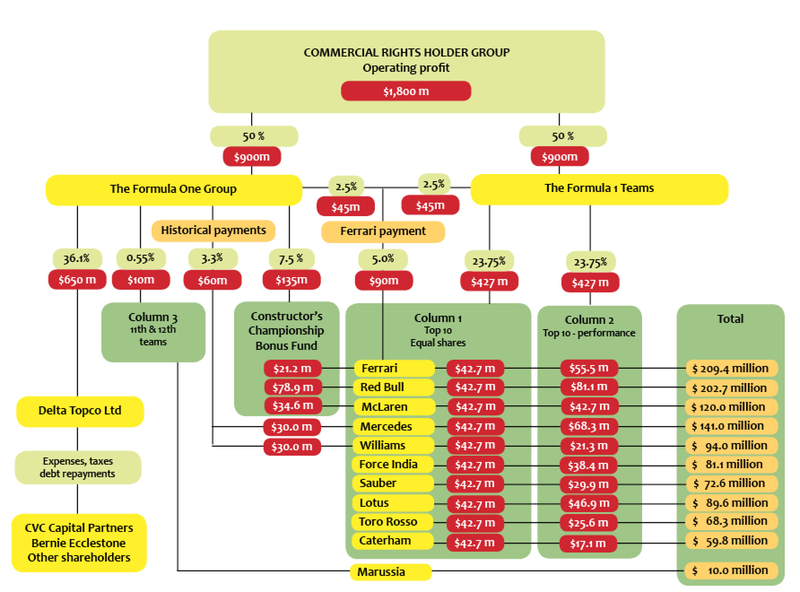 Clearly a healthy slice of that is hived off by the commercial rights holder (which is a phrase used in F1 in such a mythical way that you’d compare it to “he who must not be named” in the Harry Potter series), but a great deal goes to the teams. So how can a series with such a huge income stream fail to provide a reasonable base income from the revenue? Only the top 10 constructors get paid, and the current proposition for Sponsors in F1 would seem to be limited. If you wish to find proof of the problem here, then go an look at a picture of a midfield F1 car in the 90s – where have all of those sponsors gone? Many of those have remainder in sports advertising spend, only in different sports. With the incredibly sad demise of Marussia (and no doubt suppliers will be heavily affected), and it looking like barring a significant change of fortunes the demise of Caterham, F1 seems to be unable to see past the end of its nose. We have all heard the rumours of financial strife at Lotus, Sauber and others but the big teams seem like they do not care. If we get three car teams that will be one of the first nails in the coffin. If that is the sport the fans want then that’s the sport we will get I guess – but I will miss the days a team like Minardi others could exist in F1 without having to have a billionaire owner. What will happen to the increased chance a smaller team bringing through capable drivers or technical staff – it will be massively reduced. Ah well……. It’s interesting to watch Romain Grosjean this year, in that he finally seems to be showing in F1, the ability that got him to F1. But he very nearly didn’t get the second chance.. It raises a key question to me – do young drivers get enough time to mature in F1? Very few drivers get the golden opportunity that Lewis Hamilton got in jumping into F1 in a very top team, and far to many seem to have fallen by the wayside further down the grid. Given the challenges of financing an F1 team – something I admire greatly in Marussia and Caterham – it’s little wonder I guess that opportunities are limited in the current environment unless you’ve got a bundle of cash. So what can F1 do to support young drivers in their development? How about a junior F1 championship, where teams could use a 2 year old chassis and perhaps a slightly longer life engine from one of the manufacturers). Or maybe allowing privateer teams to run a customer programme – it seems acceptable in other forms of Motorsport to have a works and a customer programme. But of course some think the current back-markers should just pull out of the way when their favourite driver in a top team comes by. My personal list of recent drivers I think had the calibre include Jaime Alguersuari and Bruno Senna. 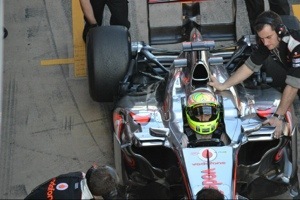 Ironically if Ross Brawn had gone Bruno in 2009 it could have gone very differently….